The Instagram is testing a new way to follow posts of interest. Now, it is possible to follow up to hashtags. That is, keep track of whether new public photos tagged with a keyword appear on the platform. These can be useful for those who like to see images of the same theme, but have no interest in following proprietary accounts of the photos. A screenshot of the new feature was revealed by @Social_Pip’s Twitter account, by Pippa Akram, a social networking consultant. 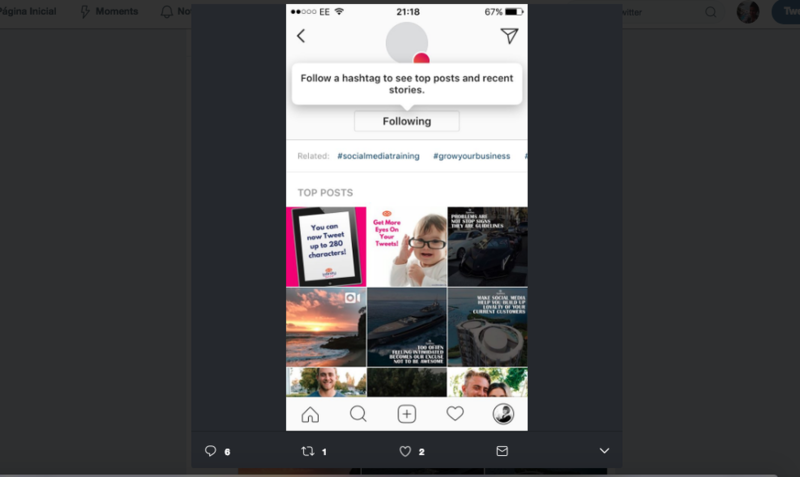 The print shows that there seems to be some curation to select photos that will appear in the feed – just like the ones that are followed by a user. Considering the popularity of some hashtags, receiving all the photos with the markup would be problematic. The feature is limiting the follow to “top posts and recent stories”. Instagram did not officially announce any news about the “follow hashtags” function or comment on the released prints. Recently, the social network released the old photos upload in Instagram Stories and also released for some profiles new photo filters for temporary stories that pop in 24h.